Ever since last summer’s exodus from hell, I am consistently criticized for being too negative. Personally, I think I’m just being realistic, it’s the actions of the club that are negative. And this transfer window is no different. I mean yesterday, we signed a world class striker for a little over half of his initial market value. 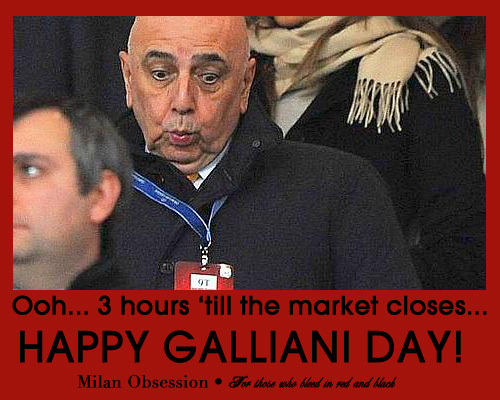 Two days before Galliani Day™. What the hell? How does Milan always get themselves into these situations? Now we have the most feared front line in Serie A, possibly in all of Europe. How could we let this happen? 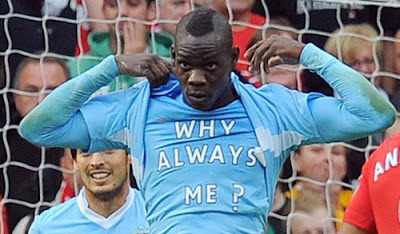 Why always Milan? As if that weren’t bad enough, we signed a Milanista. That’s right, as if coming back home to Italy weren’t enough motivation for him to shape up and find his form, Mario Balotelli is a lifelong Milan fan. Really? I mean I get it, he was handed a Milan jersey while playing at Inter during a TV bit and put it on, making every Interista livid. And even before that, he would turn up at Inter’s trainings wearing Milan socks. Seriously, how do we find these players? Loyalty and talent? What was Galliani thinking? I don’t know about this club anymore. Always signing the big name strikers, always winning trophies. What have we come to? Are we really supposed to believe that not even an economic crisis of epic proportions can stop Milan from being a powerhouse in Europe? How are fans supposed to contain themselves when we sign such an insane talent? Are there even enough seats at the San Siro for people to come worship him? I don’t even know what to think anymore. Why always Milan? While I sort out this nonsense, I want to get your opinion on this ridiculous transfer. How do you feel about Balotelli’s signing? Please take the poll below, and feel free to comment, too. I think that together, we can get through this mind blowing transfer of epic proportions. Atalanta vs Milan: Game On! Milan vs. Bologna: Game On! Sampdoria vs Milan: Game On! Coppa Italia - Juventus vs Milan: Game On! Milan vs. Siena: Game On!